Image Background: Vanitas Still Life, Edwaert Collier, Metropolitan Museum of Art. How are GLAM (Gallery, Library, Archive, and Museum) institutions building the ability to search, browse, and filter the growing pool of open access content in digital collections? In this paper, we can review the practices of four institutions and aggregators. Open access begins on the homepage of the New York Public Library (NYPL) digital collections. Placing a cursor on the search bar, users are presented with the option to “search only public domain materials”. By selecting this option, the user is shown only open access content in completing their query. Let’s say the user has completed a search without selecting this option. In delivering the query results, the interface presents another opportunity to browse only open access materials as part of their original search. Shown in the top left, a “Show Only Public Domain” checkbox will refine search results to display only open access content available as part of the New York Public Library (NYPL) digital collections. Navigating open access content provided by the J. Paul Getty Museum is joined with collection search tools. Featured as part of the Collection website, the user encounters a search bar, framed to the right by advanced search options. In the advanced search options, the user has the ability to refine their query with a combination of write-in fields and checkboxes. 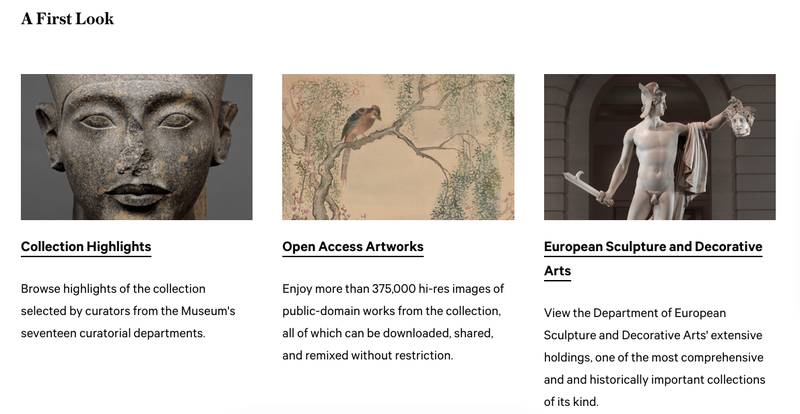 By selecting the Open Content Program checkbox in this space, search results only contain content included as part of the Getty Open Content Program. In completing the query, search terms are shown to the right in the “Search Options” area of the interface and above in the “Search Options Summary”. The Collection home of the Metropolitan Museum of Art website presents options to search and browse the collections. In completing a query, the user is displayed “Show Only” filter options in the left navigation of the search interface, including the option to view only “Public Domain Artworks” to refine a search. After selecting this checkbox, the user is displayed only items that match this filter as part of their original query. The ability to search and browse “Public Domain Artwork” as part of Metropolitan Museum of Art digital collections is supplemented by a browse option as part of Collection home. By selecting “Open Access Artwork” in this space, this option delivers only content delivered by the same “Public Domain Artworks” query checkbox. In this group, Europeana is the only aggregator in the company of three institutional digital collections. In visiting Europeana Collections home, a grid of browse options presents the option to “Browse All Open Access Images”. In selecting this option, the user is directed to query results which deliver images that enable “Free Reuse”. In completing a search within Europeana Collections, we also have the option to refine our query by open access content in addition to more specific terms for use and reuse. After completing a search, the user has the option to refine their query to include only items that support “Free Re-use”, “Limited Re-use”, and “No Re-Use”. As part of this option, the user has the opportunity to increase the granularity of their search by delivering content available under a Public Domain mark or Creative Commons license. These four cases review approaches to how we search, browse, and filter open content in digital collections. 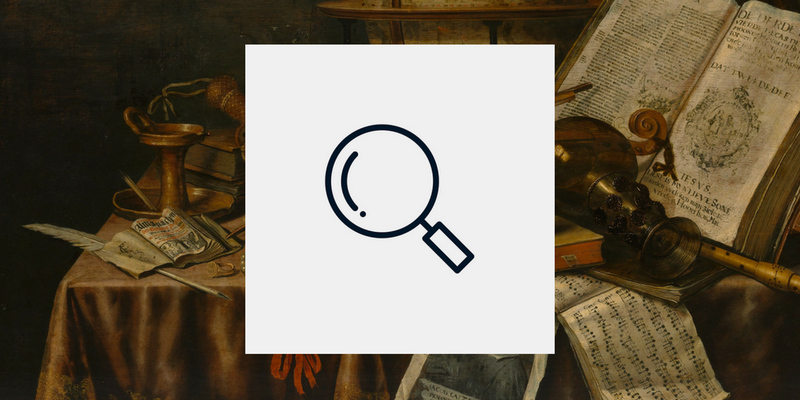 From practices linked to collection search and browse opportunities, these examples provide alternative discovery options in connection to the use and reuse of collections content. Collection, The Metropolitan Museum of Art (Archived August 5, 2018). 2. Europeana Collections, Europeana (Archived August 9, 2018). 3. NYPL Digital Collections, New York Public Library (NYPL)(Archived August 5, 2018). 4. Collection, J. Paul Getty Museum (Archived August 5, 2018). 5. Open Content Program, J. Paul Getty Museum.